Canals have always been tools of geopolitics as well as the economy in the Middle East. They played a major role in the submerged cities of Thonis-Heracleion and Canope in Egypt, more than 2500 years ago. In the European Waterways Map and Directory (5th edition), I mention the Eurasian Canal that could serve exports from Kazakhstan and neighbouring countries, bypassing the new Volga-Don Canal that is closer to Russian interests. IWI also reported on the Turkish plan to build a canal bypassing the Bosphorus. But I was not prepared for this news, just read in Navigation, Ports et Intermodalité: Iran plans nothing less than a canal from the Caspian Sea through the middle of the country to the Persian Gulf! This was a Russian dream in the late 19th century. According to the news agency Sputnik, close to the Kremlin, the Guardians of the Islamic Revolution have adopted it as a strategic investment, offering Russian trade a route to Asia bypassing the Suez Canal. The rapprochement between Iran and Russia, and the increasingly strained relations of these two countries with Turkey and other countries in the region, have made it politically appealing. Technical and financial feasibility of the project will however be doubted by many. 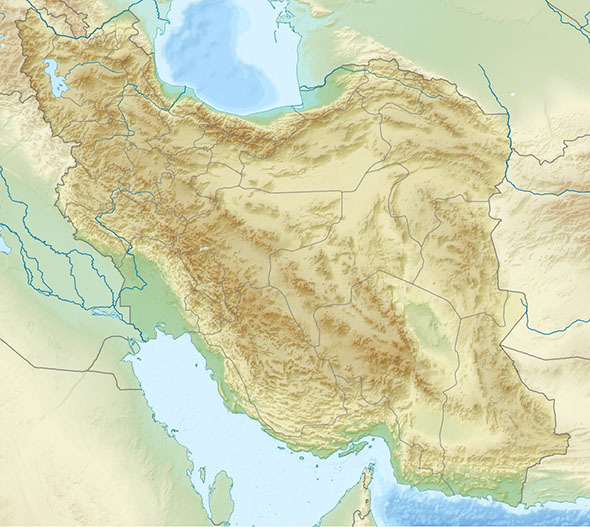 The shorter route, to the head of the Persian Gulf, is 1000 km long, but goes through mountains (see map from Wikipedia Commons). The canal’s summit level could not be lower than 1000m. The alternative route to the Gulf of Oman is much gentler terrain but longer (1500 km) and crosses regions with very limited water resources. The canal’s water supply is one of the major problems to be overcome, as well as funding this enormous infrastructure investment, estimated at $150 billion. The project was approved by former President Mahmoud Ahmadinejad, and the President of the Foreign Affairs Committee of the Iranian parliament Alaeddin Boroujerdi has suggested it could be completed by 2020.